This blog will address how the MariaDB Auditing Plugin can help monitor database activity to help with security, accountability and troubleshooting. Auditing is an essential task for monitoring your database environment. By auditing your database, you can achieve accountability for actions taken or content accessed within your environment. You will also deter users (or others) from inappropriate actions. If there is any bad behavior, you can investigate suspicious activity. For example, if a user is deleting data from tables, the admins could audit all connections to the database and all deletions of rows. You can also use auditing to notify admins when an unauthorized user manipulates or deletes data or that a user has more privileges than expected. MySQL Enterprise Audit Plugin – This plugin is not open source and is only available with MySQL Enterprise, which has a significant cost attached to it. It is the most stable and robust. Percona Audit Log Plugin – Percona provides an open source auditing solution that installs with Percona Server 5.5.37+ and 5.6.17+. This plugin has quite a few output features as it outputs XML, JSON and to syslog. Percona’s implementation is the first to be a drop-in replacement for MySQL Enterprise Audit Plugin. As it has some internal hooks to the server to be feature-compatible with Oracle’s plugin, it is not available as a standalone for other versions of MySQL. This plugin is actively maintained by Percona. McAfee MySQL Audit Plugin – Around the longest and has been used widely. It is open source and robust, while not using the official auditing API. It isn’t updated as often as one may like. There hasn’t been any new features in some time. 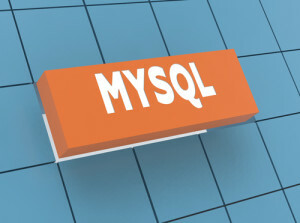 It was recently updated to support MySQL 5.7. MariaDB Audit Plugin – The only plugin that claims to support MySQL, Percona Server and MariaDB. It is open source and constantly upgraded with new versions of MariaDB. Versions starting at 1.2 are most stable, and it may be risky to use versions below that in your production environment. Versions below 1.2 may be unstable and I have seen it crash production servers. Older versions also log clear text passwords. The MariaDB Auditing Plugin provides auditing functionality for not only MariaDB, but Percona Server and MySQL as well. It is installed with MariaDB or available as a plugin for Percona Server and MySQL. I worked with the MariaDB Auditing Plugin because I was using MySQL community, without an enterprise license, which means the Enterprise Plugin and Percona’s plugin are off the table. We wanted to use a plugin that used MySQL’s built in auditing API, not a custom one that reads known memory blocks and is sensitive to upgrades such as McAfee’s plugin. To get the MariaDB Auditing Plugin, download the .so from here: https://mariadb.com/products/connectors-plugins. I highly recommend packaging it if you intend to do any automation (chef, puppet) or upgrades in the future. Similar steps can be performed with fpm. Reference https://mariadb.com/kb/en/mariadb/server_audit-system-variables/ for more information on configuration. When selecting the log destination, you want to use one method. It is dangerous to configure both, so decide ahead of time on your logging strategy. The MariaDB Auditing Plugin is quick and easy to install and bring into your current logging or auditing solution. Once you have installed auditing you can detect problems with an authorization or access control implementation. It allows you to create audit policies that you expect will never generate an audit record because the data is protected. If these policies do generate audit records, then you know that the other security controls are not properly implemented. Auditing information can help you troubleshoot performance or application issues and lets you see exactly what SQL queries are being processed. Is there any performance cost involved in enabling these logging and how it is different from enabling general logs.